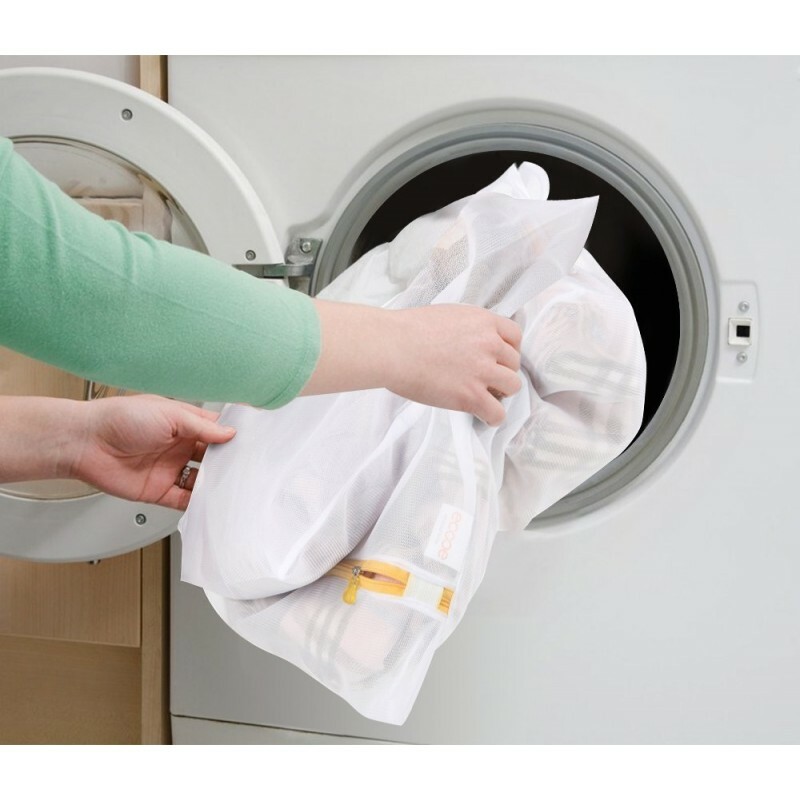 Assort your laundries with different colors, sizes and protections. 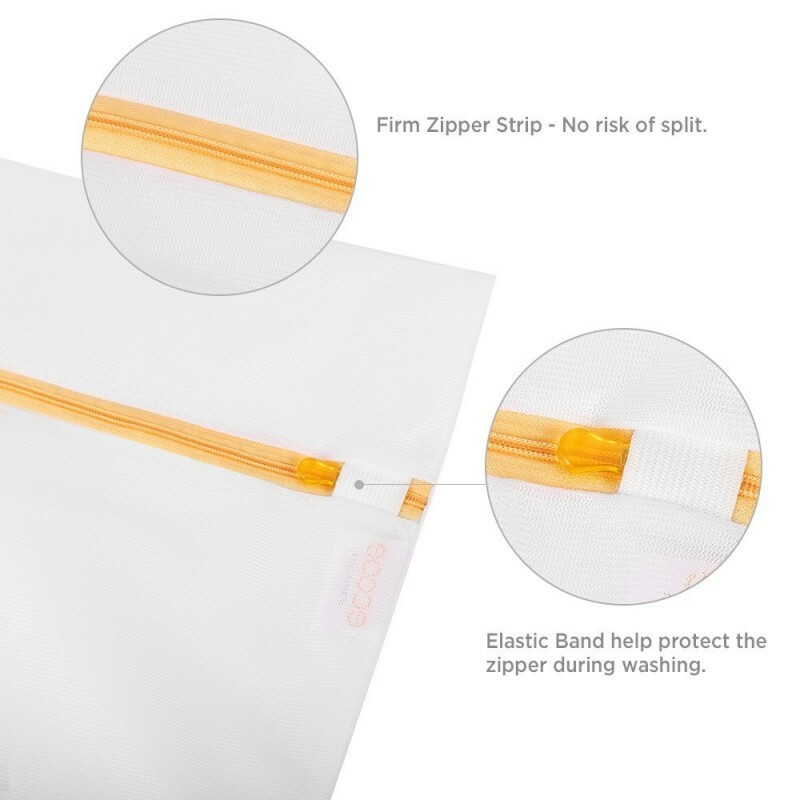 Constructed of dense polyester meshes, the laundries bags are durable enough to protect your clothes while washing, yet breathable for thorough cleaning. 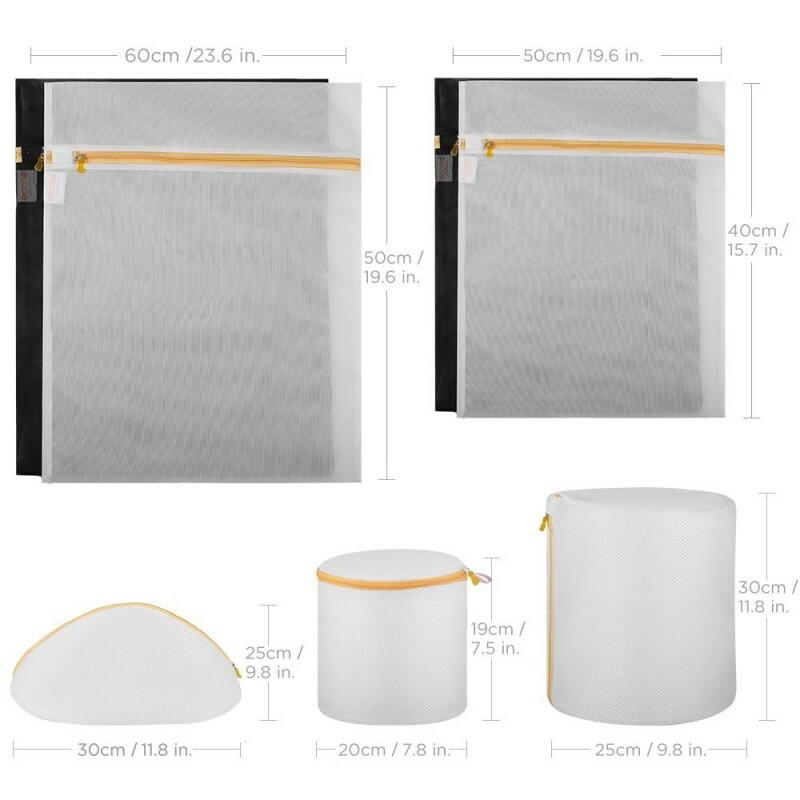 Separate your dark and light laundries with black and white bags. 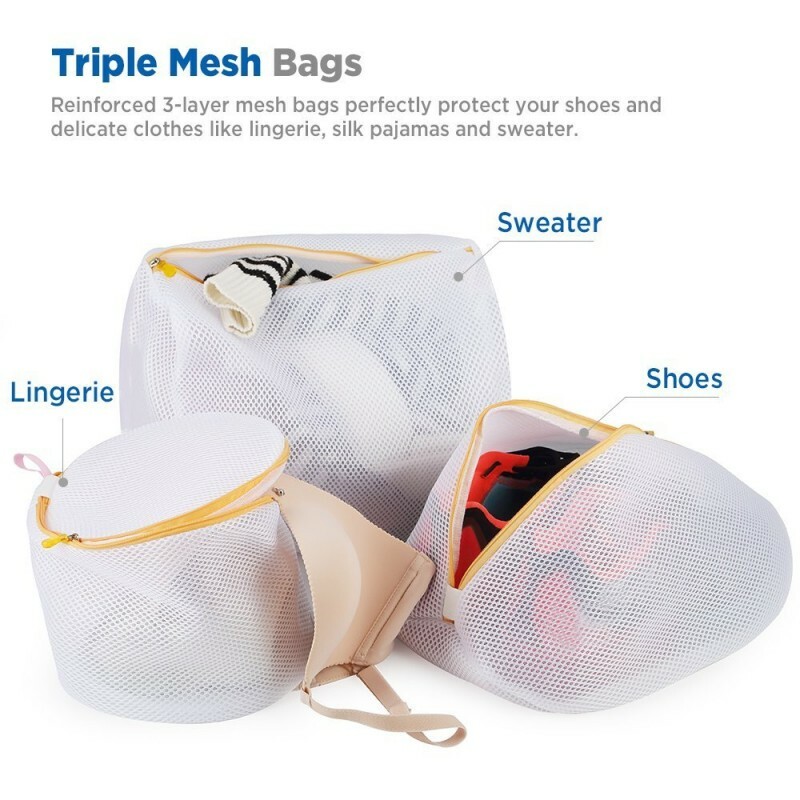 Care your delicates, shoes and bras with tailored and protective bags. 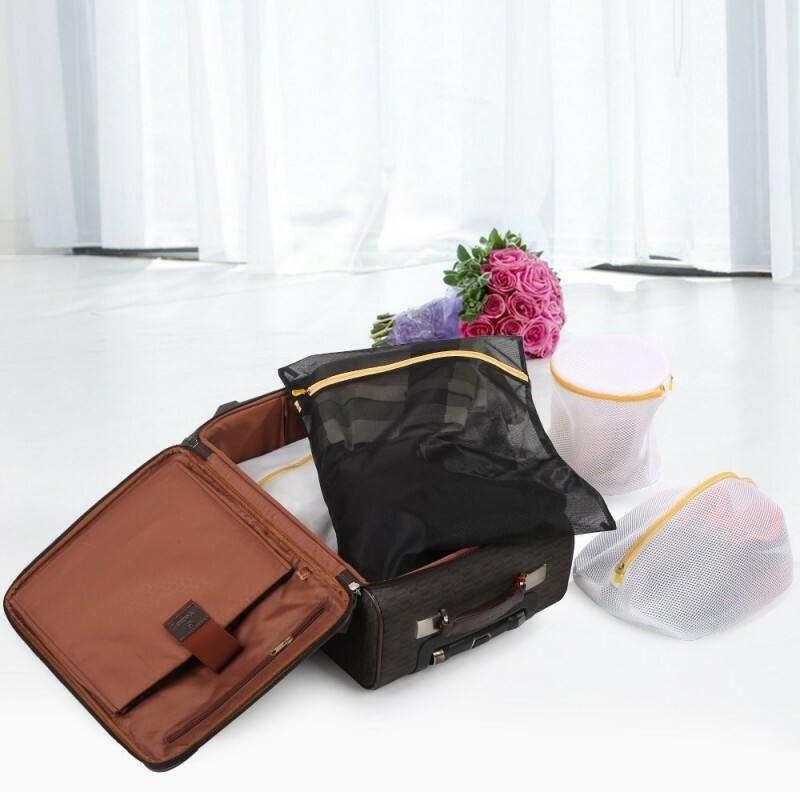 A set of bags in different color, size and shape makes a good company while travel ㅡ light up the travel with a suitcase clutter-free and so organized.